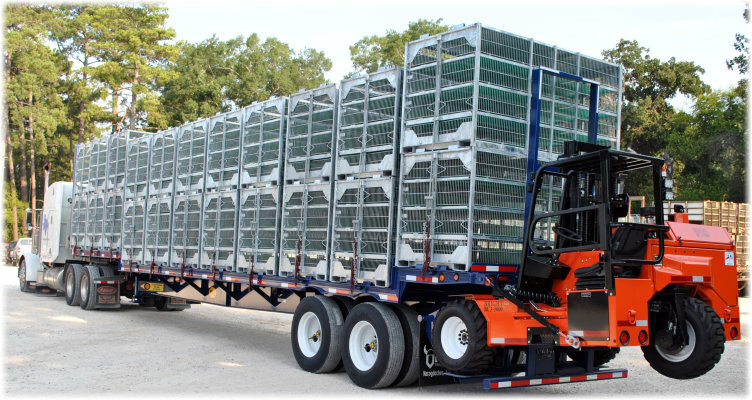 The poultry special double drop is designed solely for the addition and use of a 3-wheel lift. 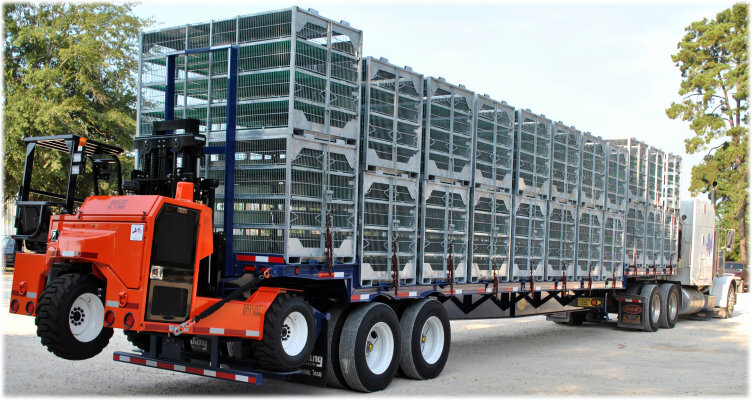 The ability to haul cages and a lift makes this complete package a must have in the poultry industry. Capacity: 80,000 lb. GVWR. 4” x 3.2# Jr. I beam on 26” centers. Formed angles on top of the main beams and siderails serve as cage nesting devices and provide a 4-3/4” air space between the cages. 8.25 x 22.5, Steel 10 hole disc; hub piloted (color: white).